These drip trays mount to the outside of your refrigerator or wherever you draft beer faucets are and have holes cut for your faucets to mount through. 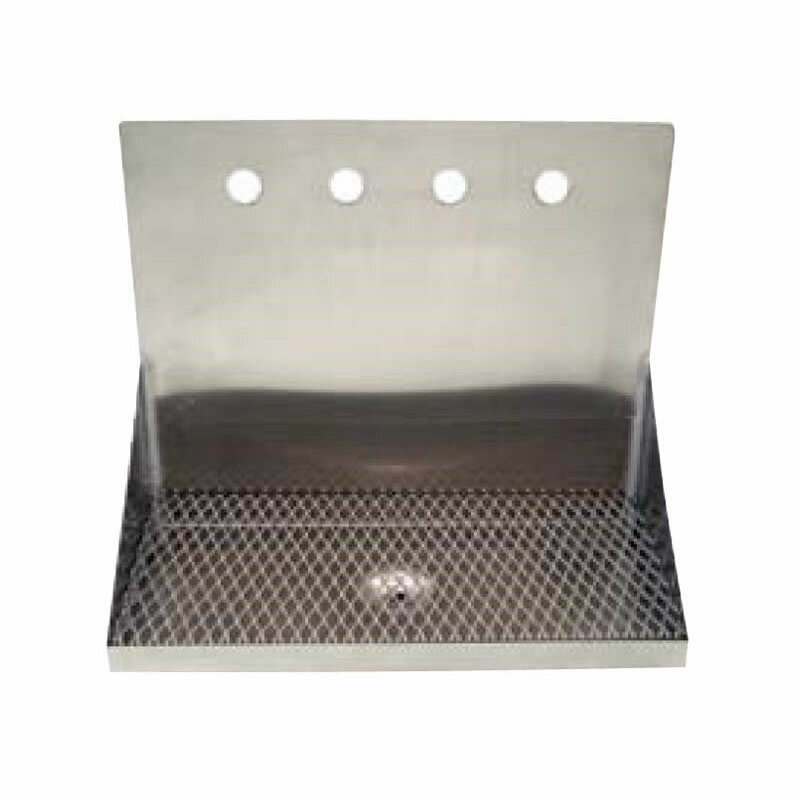 These are high quality stainless steel drip trays and give your draft beer setup that finished and professional look! 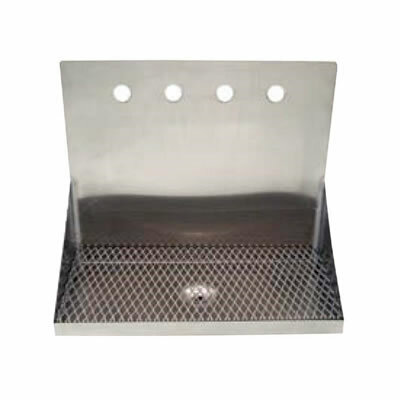 This drip tray has an expanded metal grate which give you more surface area for catching more spills and setting glasses while filling up. Under the OPTIONS tab you can select which drip tray you need depending on how many draft beer faucets you have. 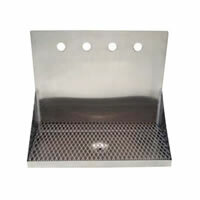 These trays have a 8" Tray depth with stainless steel grate and 5/8" copper drain tube. Material: All stainless steel with copper drain tube.